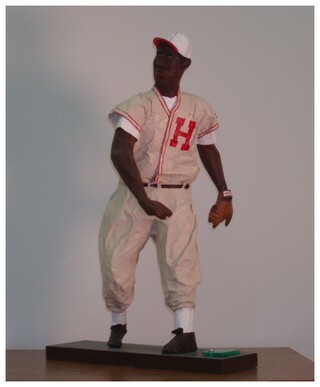 The BJARKMAN CUBAN UNIFORMS COLLECTION comprises the most extensive display of game-worn Cuban national team and Cuban League team uniforms currently found anywhere, with most of the jerseys obtained directly from the ballplayers themselves. 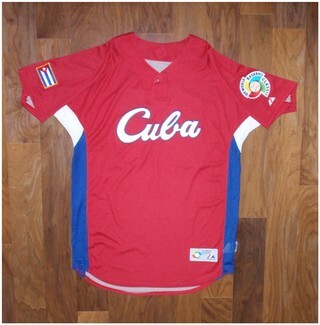 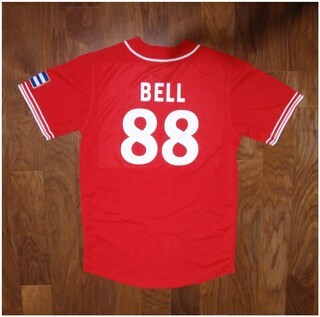 Included are Cuban uniforms from the World Baseball Classics, Baseball World Cup, and Olympic Games. 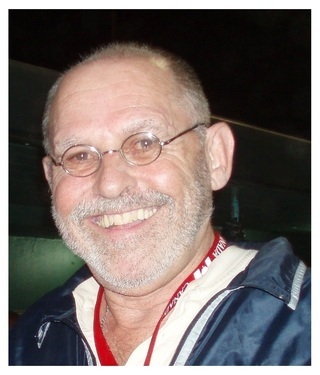 During twenty-plus years of travels on the Cuban League baseball scene, Pete Bjarkman has amassed the largest and most unique collection of game-worn Cuban national team and league jerseys (including Olympic and WBC jerseys), all destined for eventual donation to a planned Cuban Baseball Hall of Fame in Matanzas, Cuba. 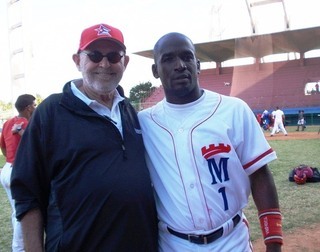 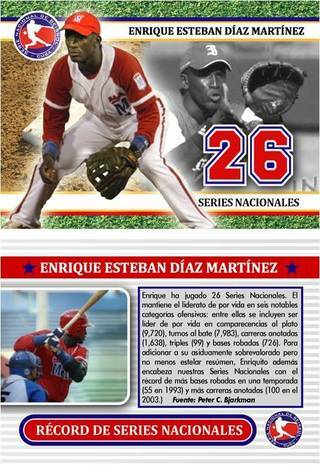 Like authentic game-worn uniform jerseys from major league baseball, Cuban League and Cuban national team jerseys provide a prime collectible and valid historical documentation of the sport's ongoing history. 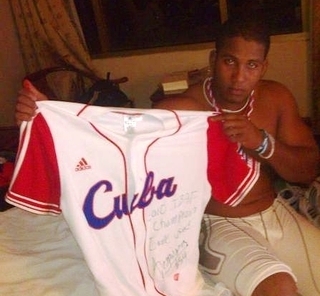 I began acquiring post-revolution Cuban baseball jerseys in 1997 and have now amassed a collection that numbers over 100 samples and constitutes the largest of its kind in existence. 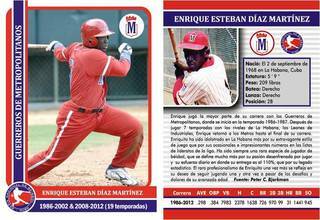 This collection, now temporarily housed in Havana and compiled with the knowledge and support of the Cuban Baseball Federation, is intended for eventual donation to a legitimate and secure Cuban Baseball Hall of Fame and Museum, currently in the earliest planning stages and likely located in the port city of Matanzas, the Cuban version of Cooperstown and Hoboken and site of the "mythical" 1874 first documented Cuban baseball contest. 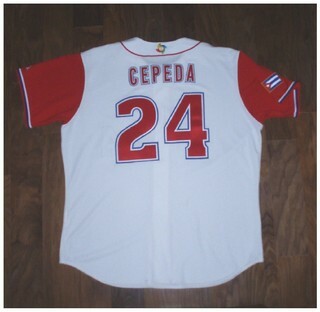 Included in the current Bjarkman collection are flannels from Cuban League play of the 1960s and 1970s, plus more recent Cuban League jerseys from such notable players as Freddie Cepeda (Beijing Olympics), Yulieski Gourriel (Sancti Spíritus), Osmani Urrutia (Las Tunas), José Ariel Contreras (Pinar del Río), and Kendry Morales (2002 Cuban League All-Star Game). 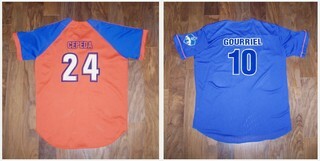 Featured as well are national team jerseys from the late 1990s and early 2000s, including uniforms from the Sydney and Atlanta Olympics, 2001 Taipei World Cup, 2003 Havana World Cup, and 2005 Rotterdam World Cup, and 2006 Havana Olympic Qualifier Tournament. 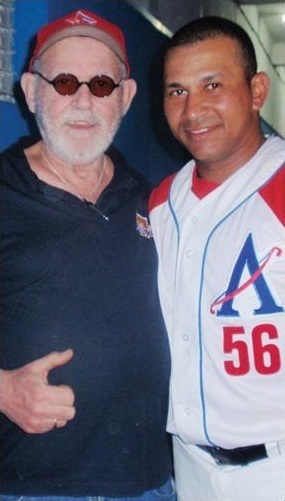 Players included are Omar Linares, Orestes Kindelán, Juan Padilla, Luis Ulacia, Norge Vera, Ariel Pestano, Victor Mesa, Yulieski Gourriel and Alexei Ramírez, among others. 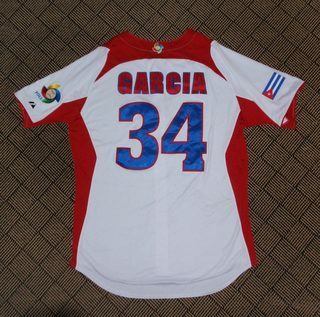 The showcase items of this collection are 14game-worn shirts from Cuba's greatest-ever baseball triumphs at the 2006 World Baseball Classic in San Juan and San Diego. 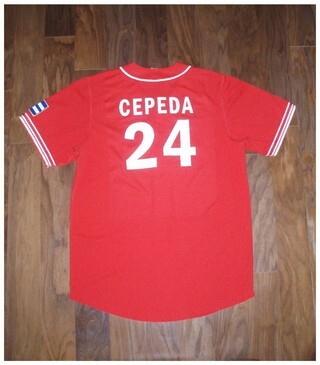 These jerseys include those of Pedro Luis Lazo, Federich Cepeda, Vichyohandri Odelín and Ormari Romero. 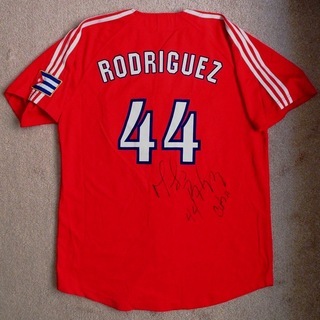 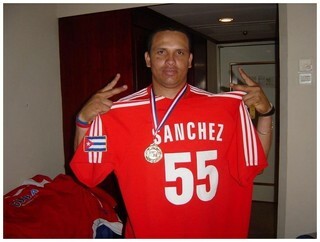 Recent additions are the 2006 Olympic Qualifier Tournament jerseys of Frank Montieth (MVP) and Alex Mayeta, worn in the final game loss versus Team USA, as well as the prized 2008 Beijing Olympic jerseys of Yoandry Urgellés and Freddie Cepeda. 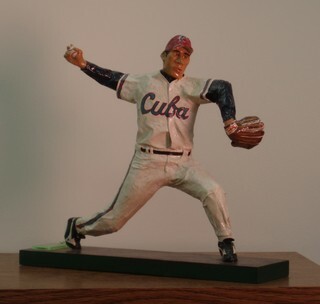 Bjarkman's collection of Alfredo Manzo papier mache figures includes images of Martín Dihigo, Che (non-baseball), Fidel (Barbudos pitcher), Roberto Clemente, Conrado Marrero, Dolf Luque, Eduardo Paret, Germán Mesa, Kendrys Morales, Maels Rodríguez, Omar Linares, Oscar Macías, Juan Manríque, and José Contreras, among others.